Han Solo and Chewbacca, cinema and popcorn, gin and tonic, there are many more examples of how two wonderful ingredients become a strong team and experience. This is also the case with Plassix and Puso. The two from Bern, so far solo on the road, have come together as Plassix&Puso and surprise us with their first single, which makes us want more. The song “Not Alone” is about the fact that we are never alone in life. There is a higher power which, even in the most lonely moments, gives hope to go on, not to give up and to stand up again and again. We are supported by people, believe and goals that drive us forward, even if it seems hopeless or the end is not foreseeable. There is the spark of hope in the darkness that makes us believe and trust. The music is written by Plassix&Puso. The electronic sound of Plassix, with the exciting vocals and lyrics of Puso, combine to an impressively strong piece of music, which need not hide from international comparisons. More songs are already in production and so we can look forward to more music by these two young talents. 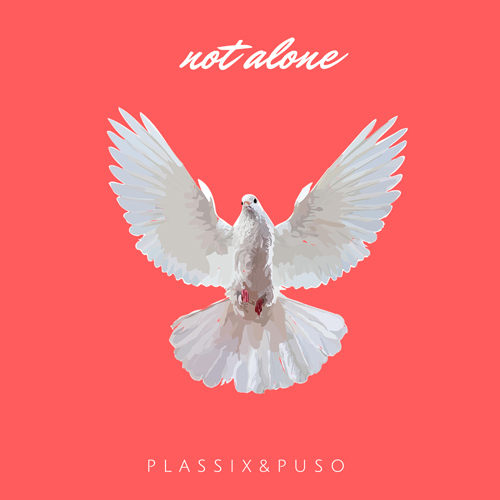 Plassix&Puso seem to have a very promising musical future ahead of them. Nach einer ersten Tour, mit hervorragenden Rückmeldungen von Publikum und Journalisten, veröffentlichen Anna Lux ihr Debut Album WUNDERLAND. Mit ihrem unverkennbaren Sound gelingt Anna Lux der Spagat zwischen Dark Rock und radiotauglichem deutschen Pop-Rock wie noch keiner anderen Band zuvor. Vor dem Album, welches am 24. August 2018 erscheint, veröffentlichten Anna Lux mit „7 Fragen“ am 3. August 2018 ihre dritte Single. Danach wird Anna Lux ab September 2018 mit Megaherz und Erdling in Deutschland, Österreich und der Schweiz auf Tour sein.